Today’s employees seek more than just a paycheck. These fifty companies got the memo. The cannabis industry is in a phase of unprecedented growth. A report from Arcview Market Research and BDS Analytics noted the industry employed an estimated 200,000 people in 2017 and is expected to create another 400,000 jobs nationwide by 2021. In October 2018, mainstream job-hunting platforms Glassdoor and LinkedIn, combined, listed more than 7,000 open positions for cannabis workers, ranging from dispensary staff to C-suite executives. Where once a handshake and cash under the table were perfectly acceptable—and employment contracts unheard of—now exists a full-blown corporate landscape and the labor pool to match. Today’s cannabis employees have high expectations. They want and deserve more than just a paycheck. So, what makes a company one of the best places to work? What benefits do employees find the most enticing? 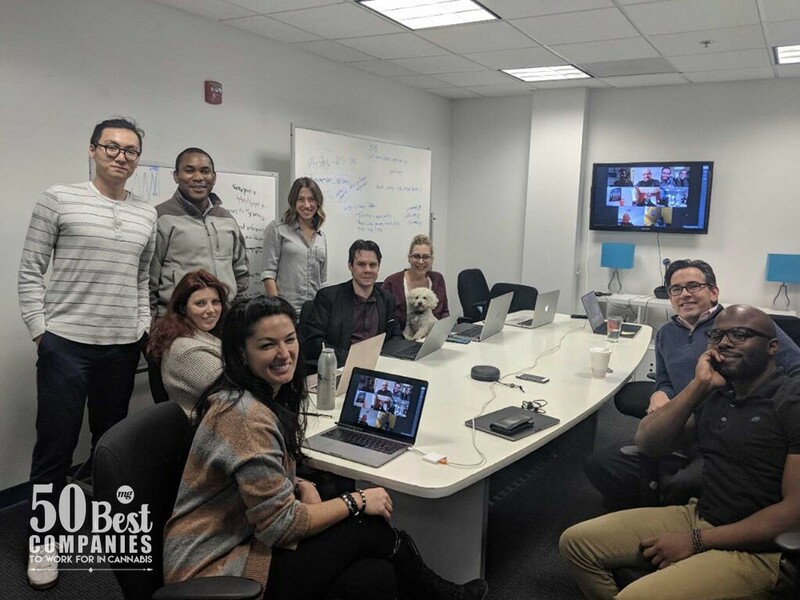 The mg staff and advisors evaluated hundreds of nominations, considering incentives, benefits, and reports from employees themselves in order to find companies that do right by their people. From basics like health and dental insurance, which all the honorees offer, to unique perks like fully-stocked breakrooms and stock options, here are fifty cannabis companies that invest in their employees. Among numerous perks, employees tout great office locations with incredible views, a collaborative and tight-knit team environment, staff meals and event-launch parties, flexible work schedules, opportunities for professional growth, a pet-friendly workplace, and honest, caring leadership. When Hurricane Maria stranded a team member in Puerto Rico, Chief Executive Officer Michael “BigMike” Straumietis sought ways to help them evacuate. In Hawaii the “spirit of Aloha” is a way of life, and at Aloha Green Apothecary it’s the driving force behind everything. 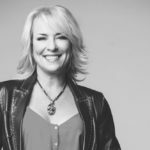 From the initial interview when every prospective employee is asked, with utmost sincerity, “where [they] really want to be in the company” to the day-to-day family-like atmosphere where “people are people first, before they’re employees,” every facet of the company’s culture revolves around the value of relationships and community. With monthly meetings that provide the entire staff with “the lowdown about how the company is doing,” employees here enjoy “total transparency” and the feeling of being fully vested in the company’s success. Stress reduction and physical health play a key role in unique perks such as an on-site frisbee golf course, two resident office dogs, shortened work days for company golf outings, plus cash-incentivized walking and wellness programs. 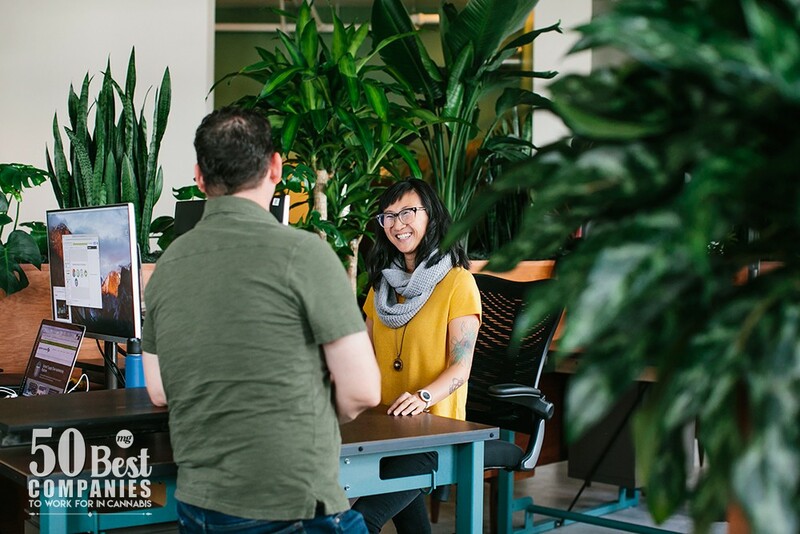 Headquartered in an award-winning, custom-designed office with automated blinds, couches, cafe-style booths, swinging chairs, adjustable desks, copious plants, and a 1970s ski gondola converted into a phone booth, Baker employees are surrounded by creativity. Among other benefits—notably, meditation time and a fully stocked kitchen—employees receive an abundance of paid time off, including more than fifteen days annually in addition to the week between Christmas and New Year’s Day. 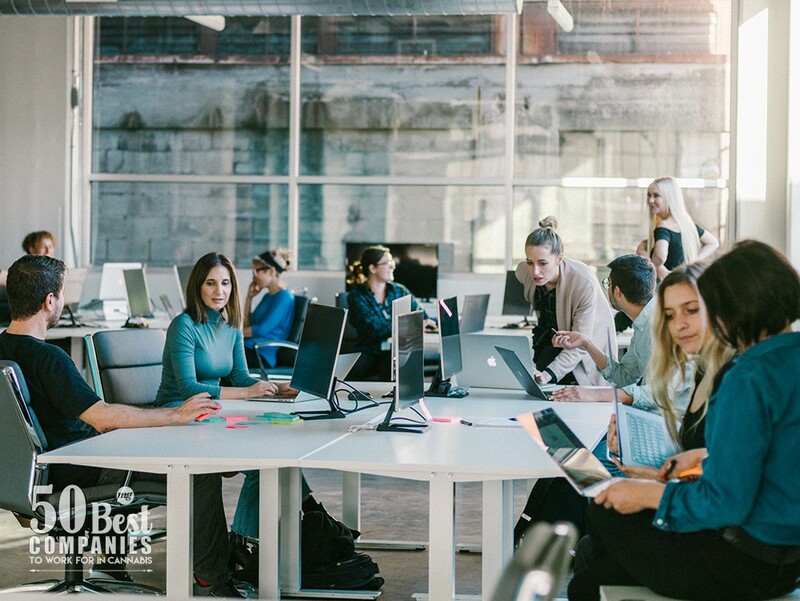 With an emphasis on finding talented staff members who will “augment existing company culture,” BDS maintains an even-keeled environment with “good mojo.” Employees say they feel “empowered to take initiative” and enjoy the company’s start-up-like feel and the lack of micromanaging seen in many corporate atmospheres. 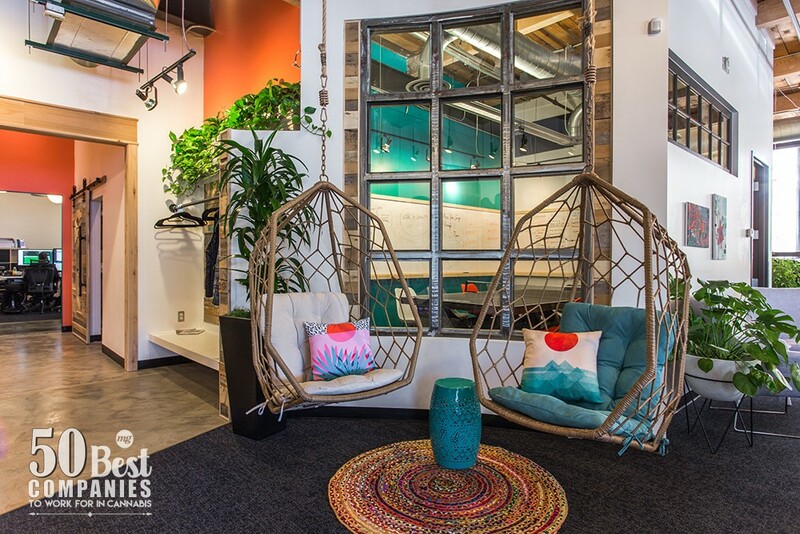 Notable perks include dispensary discounts, a generous paid time off and vacation plan, and employee stock options. Conducted annually, the BPG employee survey in 2018 asked what employees thought was best about working for the company. Among the top answers: the knowledge they provide a real and vital service to the community, better-than-average starting wages, product discounts, a 401k plan, and the friendly team environment. Speaking to that collaborative culture, the company hosts frequent vendor demonstrations with product samples given to employees for evaluation and collective sales technique planning. Built on the principle that its people are everything, Blackbird’s value is “derived directly from the happiness of not only clients and customers but also the fulfillment of [its] staff.” To that end, the company offers a corporate volunteer program that pays employees their regular wages for time spent volunteering with staff-selected nonprofit groups, a monthly book club focused on professional and personal development, and monthly peer-nominated excellence awards. Respect, wellness, and responsibility are central to Bloom Farms’ culture. The company’s offices were designed with open floor plans to foster communication. Kitchens are stocked with healthy snacks, and company meals feature healthy choices. Bloom Farms gives back to the community and encourages employees to do the same through paid service days for those who volunteer during working hours. Other perks include profit-sharing and unlimited vacation time. 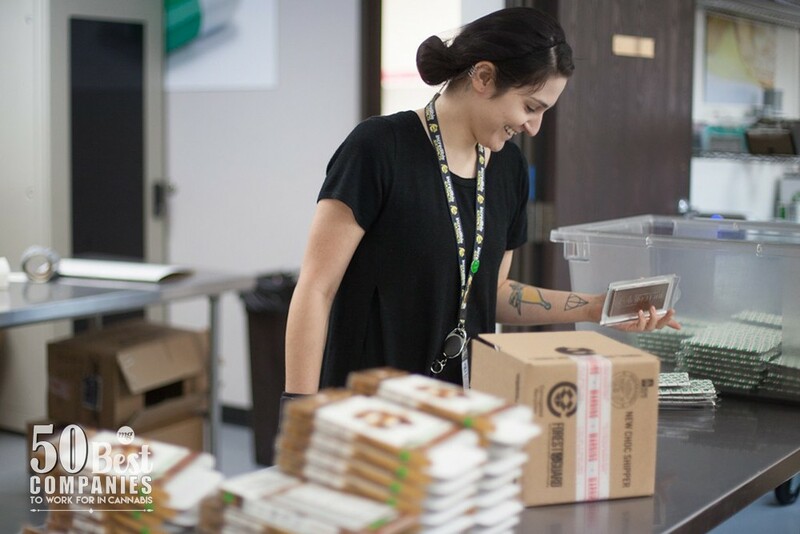 Pride goes a long way in creating job satisfaction, and Boveda employees have it in spades. One employee exclaimed, “I’m proud to be a Bovedian!” Bovedianism entails respect and commitment to cannabis and the people of the industry. The long-established company—in business since 1997—stands behind its employees with a 401k program, complete benefits including paid education, and a generous paid-time-off package. According to CEO Adrian Sedlin, “being Canndescent entails applying your best and highest self to all things at all times,” and that’s something his employees take to heart. Forty-five percent of new employees achieve career progression within six months, earning at least one promotion. Great perks only help the atmosphere of excellence: In addition to the basics, every full-time employee is offered equity in the company. Continual growth from a family-run operation to employing nearly three dozen people hasn’t changed Canuvo’s dedication to its people or corporate culture and mission. In preparation for the company’s recent annual retreat, the CEO interviewed each employee about their “satisfaction and dissatisfaction” with working at Canuvo. Most employees said they were happy with their work-life balance and loved their jobs. Not many companies can claim to have virtually no turnover and a waiting list of prospective employees. Coda does. 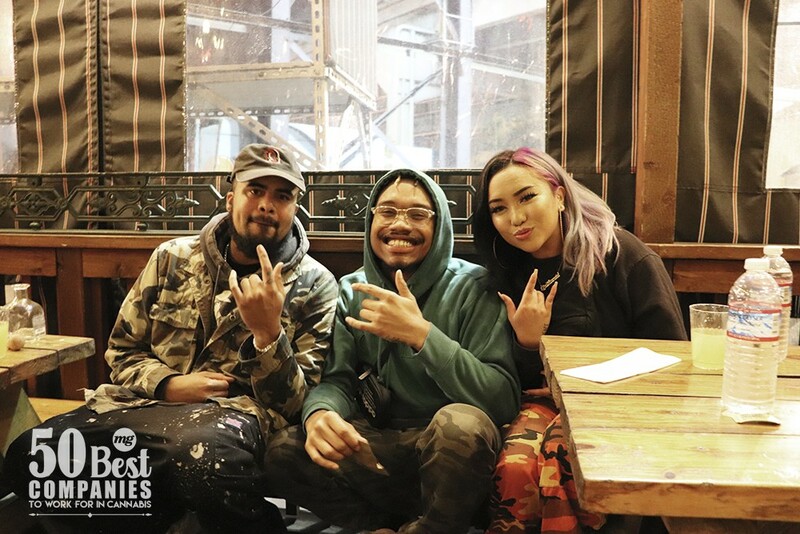 From sponsoring and participating in local events to paid travel for out-of-area employees to join the team in receiving awards at the THC Championship, Coda strives to keep everyone equally involved. Key perks include equity in the company, which is offered to every employee. HQ: Rancho Santa Margarita, Calif. Founder Danny Davis wants employees at publicly traded Convectium to “feel as if they’re working for the Google of the cannabis space.” The staff is provided with “cutting-edge, cloud-based” tools and software platforms to promote “transparency and open communication” between teams. 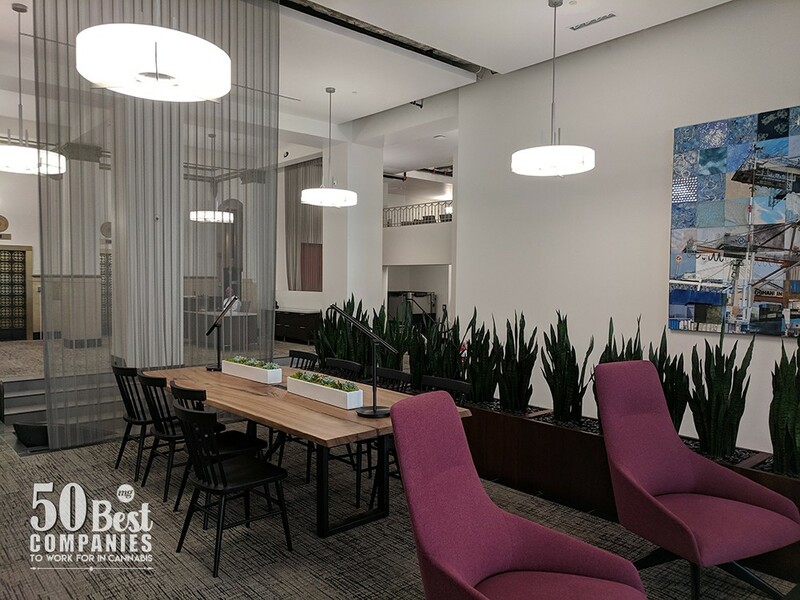 Perks include on-site snacks and a coffee bar, weekly team lunches, weekly catered breakfast, upscale accommodations when working trade shows, and stock options for every employee. With fully stocked kitchens and a daily stipend for lunch delivery, Cresco strives to make the workplace a “comfortable environment.” Perks include unlimited paid time off for salaried employees, a 401k plan, company-wide outings, dogs in the workplace, ergonomic chairs, stand-up desks and dual-monitor workstations, in-office massage visits, and an extensive onboarding process accompanied by a “welcome bag of company swag” so new employees feel integrated from day one. In 2015, Cura “broke ground as the first cannabis company ever” to cover 90 percent of the cost of health insurance premiums for all full-time and part-time employees. Other stellar perks include a monthly bonus structure, flexible vacation policy, and an employee assistance program. The company previously appeared at number twelve on Oregon’s Best Companies to Work For list in the large company category. Work and fun go hand in hand with a huge assortment of perks. 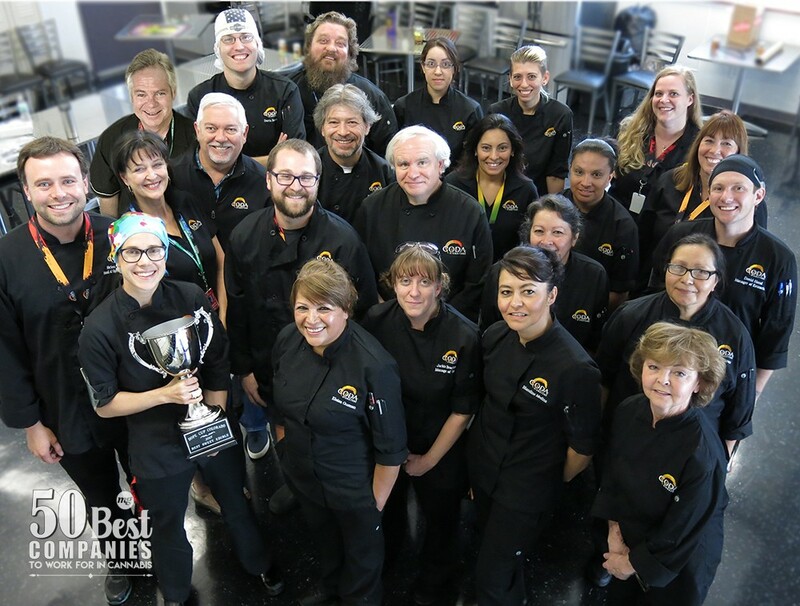 Employees enjoy cooking competitions, team snowboarding trips, private boxes at sporting events, special edition co-branded items like Dakine Dixie backpacks, and field trips like the company’s recent educational excursion to a Colorado plant farm. Dixie encourages environmental stewardship through recycling programs and has adopted a section of Denver highway. 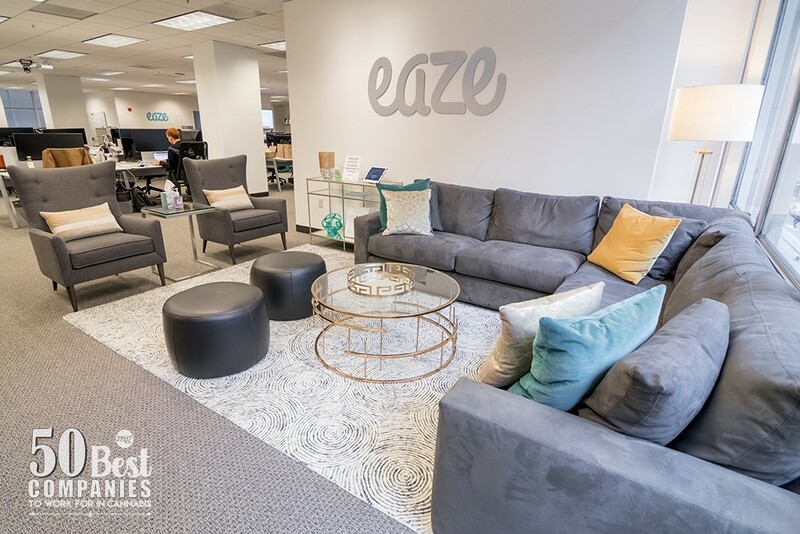 Trust, collaboration, appreciation, and shared purpose are key factors in Eaze’s recipe for employee happiness. The company believes in investing in its employees, touting “a mission-driven company culture where there are clear career opportunities, and senior leadership ensures employees feel valued while maintaining a culture of transparency and support.” In addition to standard offerings, family-centric perks include a new-parent support program in addition to fertility and adoption reimbursement. In a sea of stereotypical law firms where employees often are overworked, Frontera breaks the mold, offering a worker-friendly environment focused on maintaining a good work-life balance and prioritizing family and important life milestones. Perks include free lunch on Fridays, an annual retreat and party in Las Vegas, and a generous paid-time-off and holiday schedule. Founder Jeffery Welsh takes pride in the company’s “fiercely loyal and hardworking” culture. Grand occasions aren’t the only reason to celebrate at Garden Remedies, though the company certainly does take pride in celebrating special moments with events such as “harvest parties” when hitting cultivation milestones. The company revels in providing a “positive, healthy work environment” and in the diversity of its team: Currently, 67 percent of executive roles are occupied by women. World-class recycling and conservation programs surpass those of nearly every other company on this list. 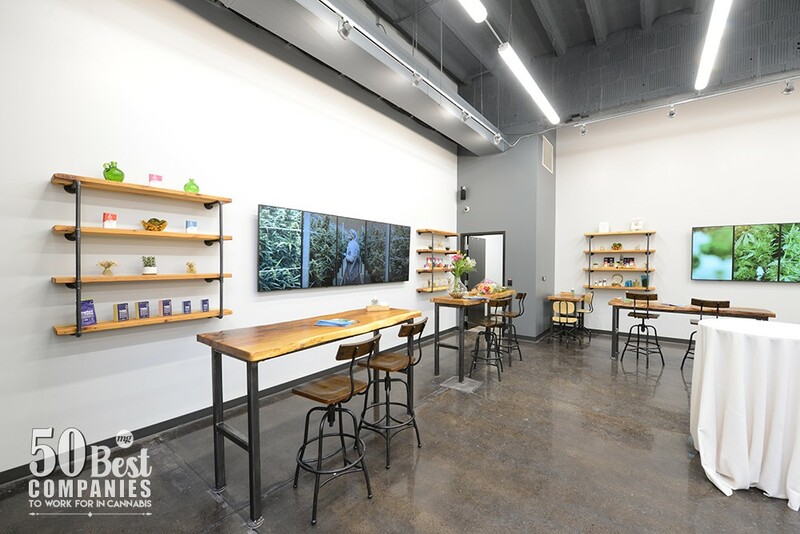 General Cannabis provides corporate amenities with a family company feel. The company offers stock options, life and disability insurance, gym membership reimbursement, and work-life balance, all in a casual work environment. As a legitimate holding company, a fair amount of pride is taken in “doing things by the book” and operating in a “transparent, honest, and fair” manner, giving employees the peace of mind found in stability. The company’s mission to “enhance all lives through cannabis” begins with its employees. 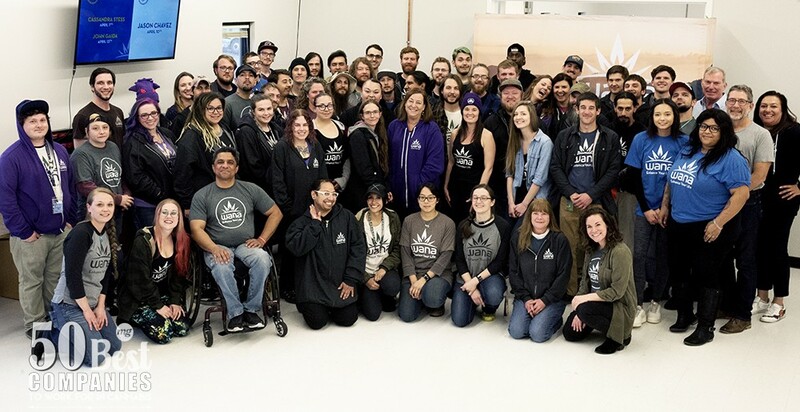 Through accessible, approachable leadership and a commitment to sharing ideas and growth, Golden Leaf actively searches for new opportunities for employee appreciation. Current perks include paid parental leave, time off for volunteer activities (up to sixteen hours yearly), team happy hours, office barbeques and potlucks, and memberships at select partner gyms. One long-time GRAV employee said they find value in being part of a team “rowing in the same direction to deliver great design, function, and quality to fans.” Among unique perks, the company offers profit-sharing and 401k match. The office is equipped with a water fountain/bottle refilling station displaying stats about how many bottles employees have prevented from ending up in landfills. Pride in the workplace and in a job well done are two things GTI works to instill in its employees. 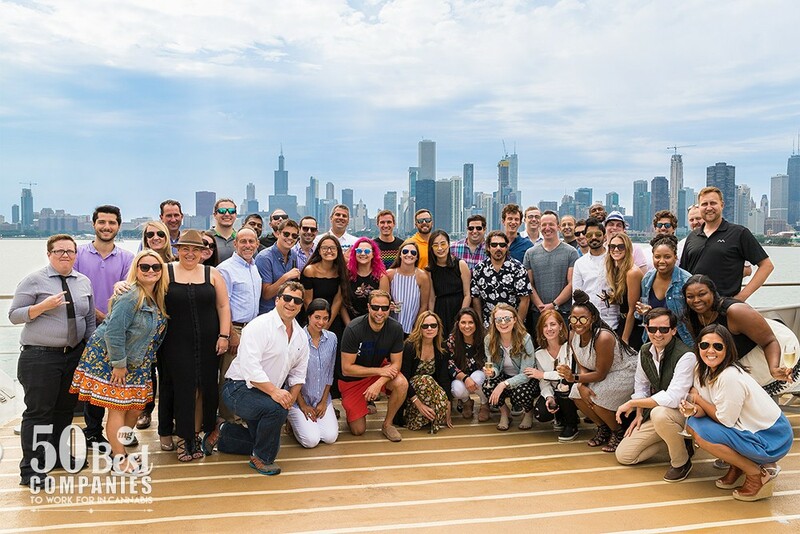 In 2018, Crain’s Chicago Business named the publicly traded company one of Chicago’s best places to work. Staff meals and snacks, a generous vacation policy and holiday schedule, a career development program, stock incentives, and telecommuting options rank among the company’s top perks. Greenlane believes a company’s success is rooted in its people. From day one, employees are given the tools and training to grow in their respective fields. Other forms of support are seen in reward and recognition systems including Greenlane Championship Belts: wearable trophies awarded to individuals for stellar success. Noteworthy perks: house-made meals and snacks and 401k with match. 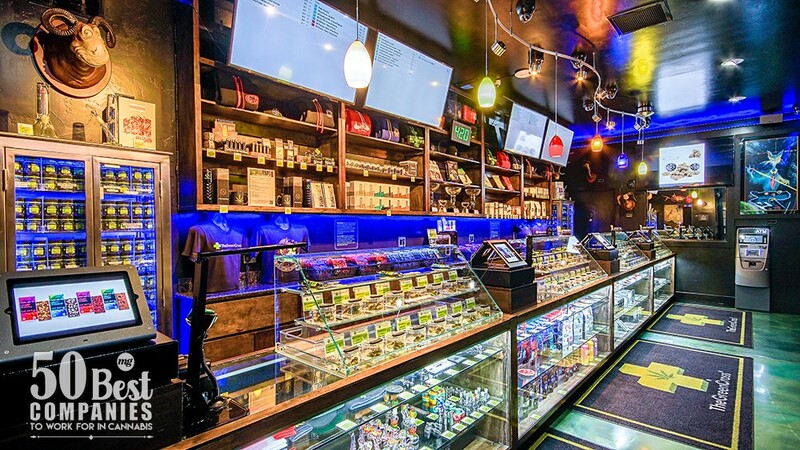 This dispensary offers a greater variety and quantity of perks than some mainstream businesses. From an on-site café with daily snacks to event tickets (movies, theme parks, sports, concerts), and discounts on goods and services (hotels, flights, activities, products), Harborside employees are rewarded for hard work. Additional benefits include medical, dental, and vision insurance and a 401k with 4-percent company match. Low turnover rates and a dedication to internal promotions and career advancement foster employee loyalty at incredibles. With both national and international expansions on the horizon, team members will have opportunities to relocate and help build the company’s newest divisions. Employees cite positive incentives such as a “welcoming and open work environment,” monthly staff meals, and discounted product pricing among favorite perks. According to the company, “working at Ionic means pioneering an industry that is being redefined daily,” a notion that appeals to employees, which the company calls “a community of innovative, creative people who are all striving to make the world a better [place].” In addition to basic benefits like health and dental insurance, the company provides full-time employees with stock options and generous paid-time-off and holiday plans. Staffed with results-driven professionals strategically placed to be of the utmost benefit to the company while best utilizing their individual skills, this manufacturer has established a team atmosphere that’s “not about titles or job descriptions” and everyone works in cohesion. The team enjoys perks including educational lunch meetings, low-contribution dental and vision insurance, multiple-monitor work stations, quarterly check-ins, and annual goal-setting reviews. With a staff as dedicated to the company’s goals as the company itself is, this edibles manufacturer is poised to deliver on its promise of “quality, food safety, and compassionate care.” Monthly company meeting lunches, a fully stocked break room with breakfast and lunch plus additional snacks, an annual team party, and health benefits that extend to employees’ family members round out the available perks. 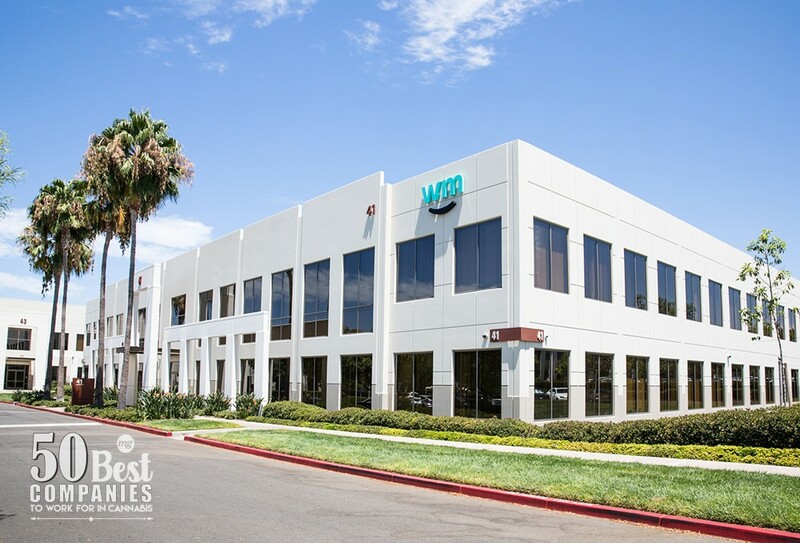 One of the things employees love about KushCo is the vibe. 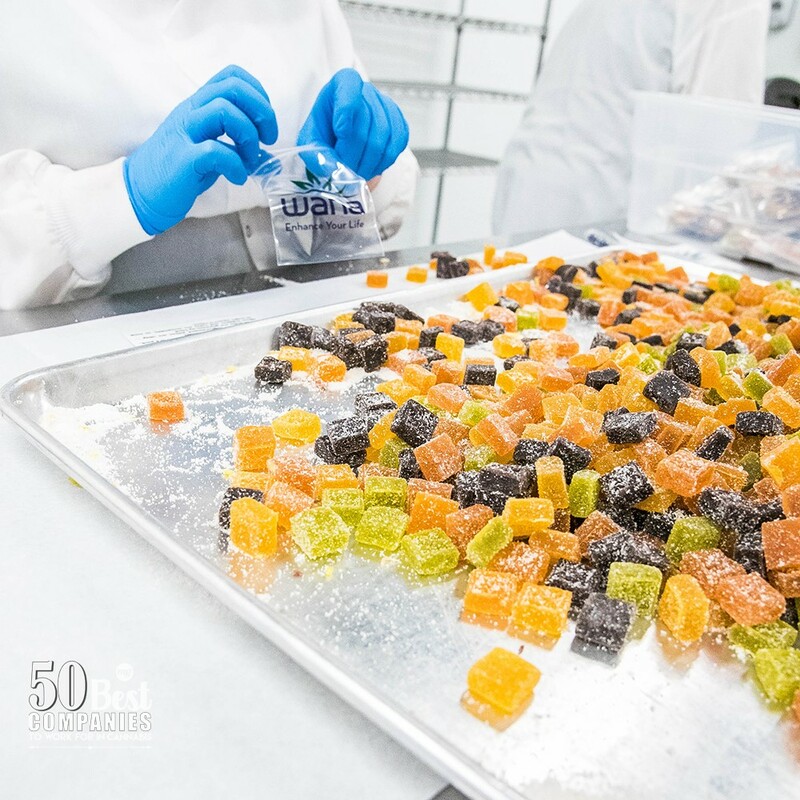 The company takes pride in “Kush culture” and the enthusiasm and passion of its hard-working staff. The atmosphere is at once friendly and collaborative, allowing creativity. The company offers a fully stocked break room and a reduced-rate lunch program in conjunction with local restaurants, in addition to stock options. 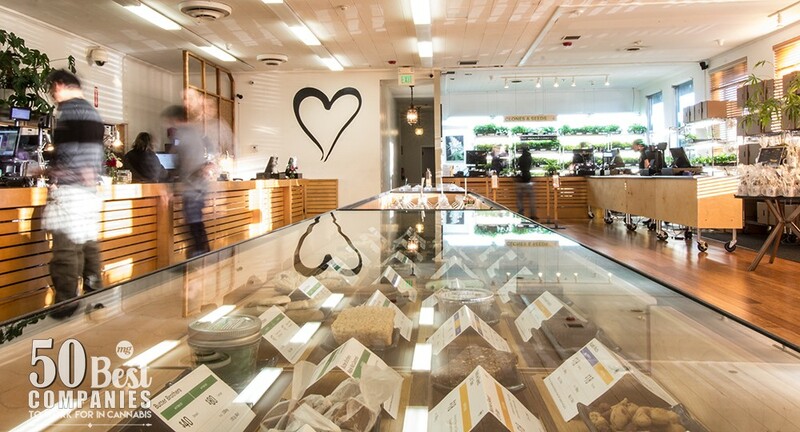 A “creative and soulful” company, Leafly offers employees more than the basic fare. “Being a part of Leafly means being a part of something special,” said one employee, who values the ability to “impact cannabis consumers every second of every day.” Noteworthy perks include staff meals several times a month, parties, happy hours, game nights, cell phone and commute cost reimbursement, and daily snacks and beverages. Perks abound at this family-owned and -operated grower and dispensary. Management endeavors to treat staff like family and provides monthly celebratory lunches and bi-weekly snacks from the “Candy Man,” a traveling salesman of confectionary treats. Long-time employees are rewarded with a custom jacket of their choosing after three years in service. All employees enjoy a discount of 40 percent on products. Every team member at MJ Freeway is guided by a core set of values: “Be a part of the solution. Do what is right. Show others you care.” According to the company, those principals set the tone for its team-based culture. Benefits include telecommuting, 100-percent company-funded health coverage, and unlimited paid time off. Beyond offering employee benefits, New Frontier Data is passionate about its staff. 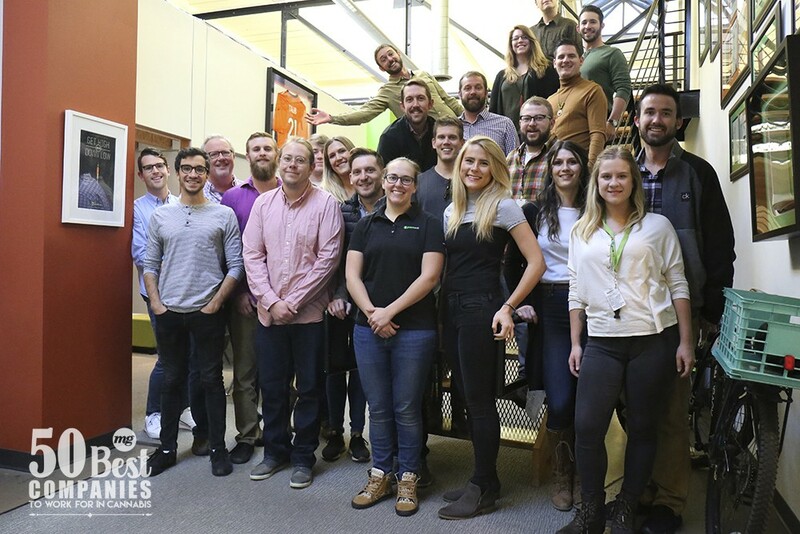 The leadership supports and fosters employee growth as part of the company’s mission to “help to shape the future of the global cannabis industry;” employees enjoy a “unique opportunity” to make meaningful impact. Special perks include unlimited paid time off, stock options, leadership retreats, and two annual all-employee events in the D.C. area. 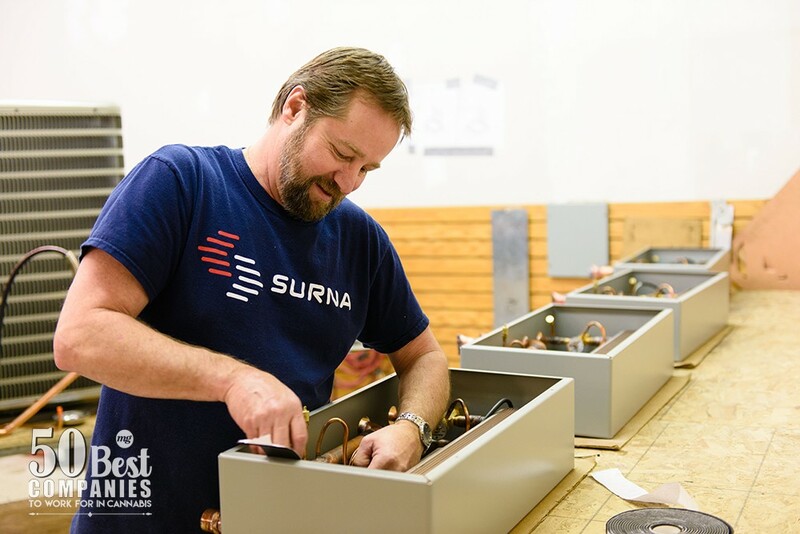 Named a top workplace by The Denver Post and praised for “top company culture” by Entrepreneur magazine, Organa Brands is a standout in the industry. With a “culture that’s more like family than work,” the employer offers competitive pay and benefits, opportunity for professional growth, 401k with two-to-one company matching, an employee stock ownership plan, an assortment of organic snacks and a fully stocked kitchen, plus employee incentive trips. Papa & Barkley is a family company that goes beyond the typical employer-employee relationship by fostering an open-door atmosphere where everyone can “share and provide suggestions;” once a year staff is asked to provide anonymous feedback to keep everyone on track. Monthly company events and charity events are integral to company culture. Staff members especially appreciate perks like a company-matched 401k program and cellphone reimbursement. Located in the heart of San Francisco’s Mission District, PAX Labs strives to maintain an “internal culture of respect, empathy, and accountability” and build a brand that “makes [employees] and [their] families proud.” Employees cite perks including subsidies for wellness and cellphones, a generous referral bonus structure, quarterly team outings, product discounts, weekly catered lunch, unlimited snacks, and a late-night dinner program. The future of employees, both financial and physical, is important to Phylos. Financial benefits include employee stock options and sponsored 401k. On the physical side, the company offers flexible scheduling, sit/stand work stations and on-site bike storage, and encourages walking meetings. Additional perks like collaborative music playlists, a pet-friendly office, and neighborhood scavenger hunts keep the team energized and engaged. Employees of this media company praise its “uniquely progressive culture that embodies truth, community, authenticity, collaboration, and forward thinking.” The company offers work-life balancing perks such as flexible scheduling, parental leave, generous paid time off and holidays, and a pet-friendly work environment, in addition to camaraderie-enriching perks like weekly 420 Friday gatherings, catered breakfast and lunch events, and leadership retreats. “Waking up and being excited about going to work is a luxury very few people know,” said one employee, and the sentiment was mirrored in comments from other staff. 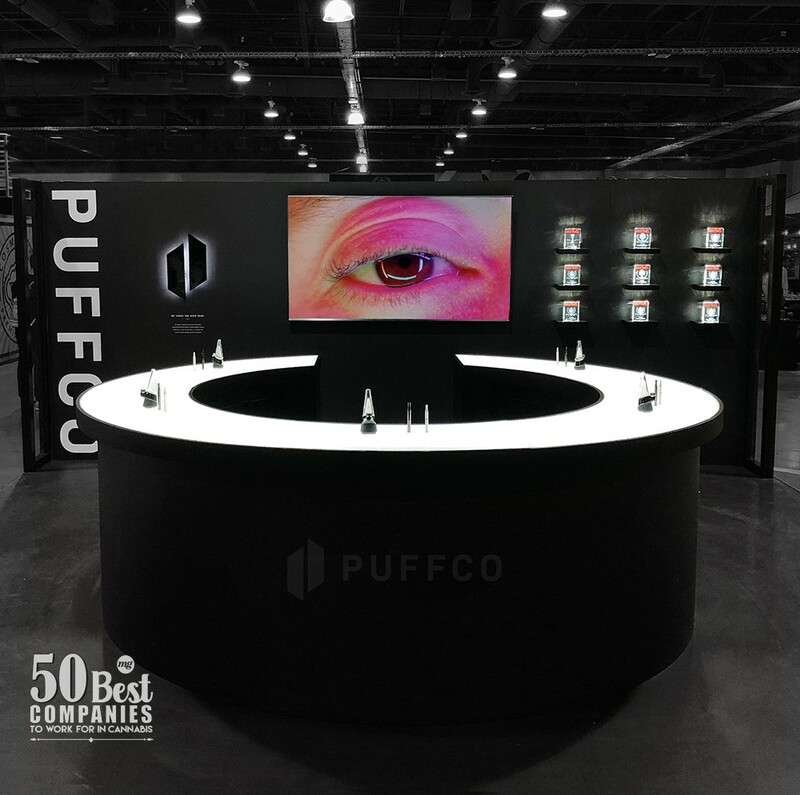 From personal trainers and nutritionists to one-on-one career planning, Puffco invests time and resources in its workforce. Noteworthy perks: unlimited vacation, 401k, company retreats, off-site team-building activities, and on-site carwash service. Recognizing its employees are the key to its success, State Flower endeavors to keep staff members happy, healthy, and thriving. In addition to a roster of health benefits like medical, dental, and vision insurance, chiropractic care, and acupuncture, employees enjoy perks such as pre-tax commuter benefits, healthy snacks, occasional staff lunches, and off-site team-building events. The company also provides thorough training and opportunities for career advancement. Employee appreciation is paramount at this publicly traded technology company where “genuine compliments, rewards, raises, promotions, and certificates of achievement are inherent in company culture.” From quarterly peer-nominated awards to employee appreciation events, no one is left feeling undervalued. Team members have a “sense of camaraderie, cooperation, and empowerment” and leadership “sees fun, humor and relaxation as allies, not the enemy of hard work.” Best perks: stock options, 401k match. With a company culture defined by commitment and a focus on quality products and customer service, this publicly traded company “strives to cultivate a service mentality” and prioritizes “transparency in communication throughout all levels of the organization.” Employees say they were recruited and onboarded in ways that made them feel valued and empowered. The company believes diversity and inclusion are key components to employee happiness. 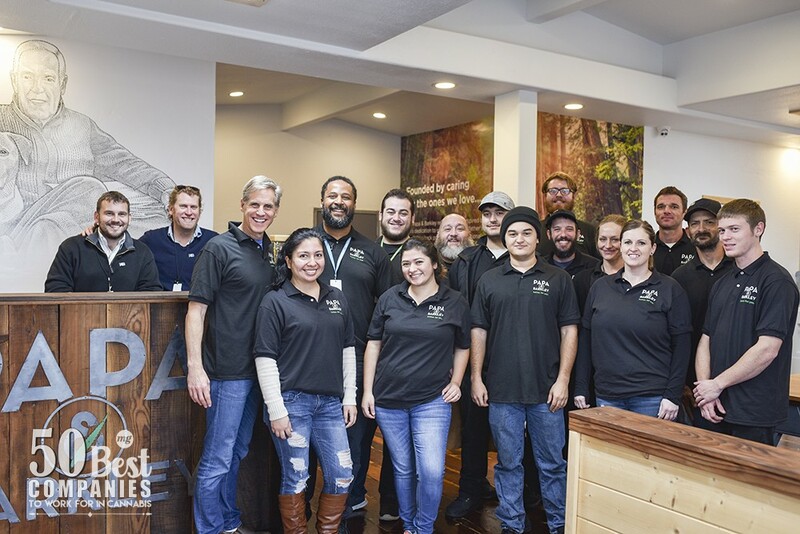 Bay Area dispensary The Green Cross takes pride in providing employment opportunities to a diverse population and working to improve the local community. A starting wage of $18 an hour is just one way in which the company helps boost neighborhood conditions. Staff-favorite perks include chiropractic reimbursements, snacks, periodic staff meals, long-term-disability and life insurance, product freebies and discounts, annual celebrations, and bowling nights. As a company whose purpose is helping employers find the best staffing solutions, Vangst is well aware what constitutes great employee relations. 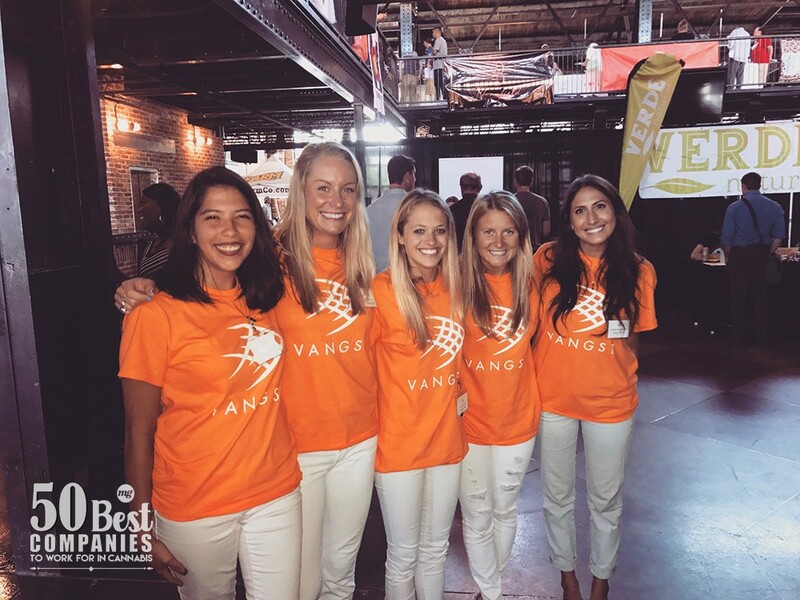 Vangst’s culture is one of inclusion, and the female-founded organization takes pride in a workforce composed of more than 56 percent minorities. Monthly “lunch and learns,” leadership development training, 401k, and generous paid time off and holiday schedules are a few of the perks. Leadership believes in promoting a healthy work-life balance and offers many avenues for employees to protect their health and wellness and that of their families. Benefits include 100-percent employer-paid premiums for medical, dental, vision, life, disability, and accidental death-and-dismemberment insurance for all full-time employees and their dependents. Other perks include subsidized gym membership, lunches and retreats, 401k with 4-percent match, and an employee equity plan. Geared toward “enhancing life” in the workplace with a culture that emphasizes “collaboration, transparency, and mutual respect,” this manufacturer believes in programs that “support both physical and mental wellness.” Incentives for a healthy lifestyle include yearly flu shots and biometric screenings, discounts on YMCA and gym memberships, and the Go360 Wellness program, which rewards participants with choice swag for activities such as step challenges. With a workplace culture one employee described as “marijuana is a metaphor for freedom,” employees are “empowered and free to do amazing work” and “innovate, create, and solve problems.” Weedmaps hosts “the best holiday party in the industry,” caters lunch five days a week, and offers telecommuting, paid health care, and 401k with company match. The office is dog-friendly and has a super-casual dress code. Health and wellness are priorities at this cultivator. The company hosts employee wellness days that include self-care classes such as yoga, meditation, and tai chi, which are followed by a nutritious salad bar. They also pay 100 percent of premiums for health insurance covering standard and alternative treatments such as naturopathic care, chiropractic, and massage therapy. Among other perks, the company regularly sponsors paid volunteer days at various nonprofits. Both the CANN Media Editorial Board and the Cannavation Awards Committee have recognized these companies as leaders within the cannabis industry.